You guys. It has been a hot minute since I last shared a session. You can blame it on the tiny humans we are feeding and clothing and loving and bathing and the mountains of laundry they produce, along with the tiniest of them all that is growing beneath my heart. It is a whole season in our house. And we are grateful. And tired. And giving our children extra screen time on the regular at this point. Because growing a human inside your body is not for the faint of heart. Speaking of growing a human. This sweet family did a WHOLE thing! 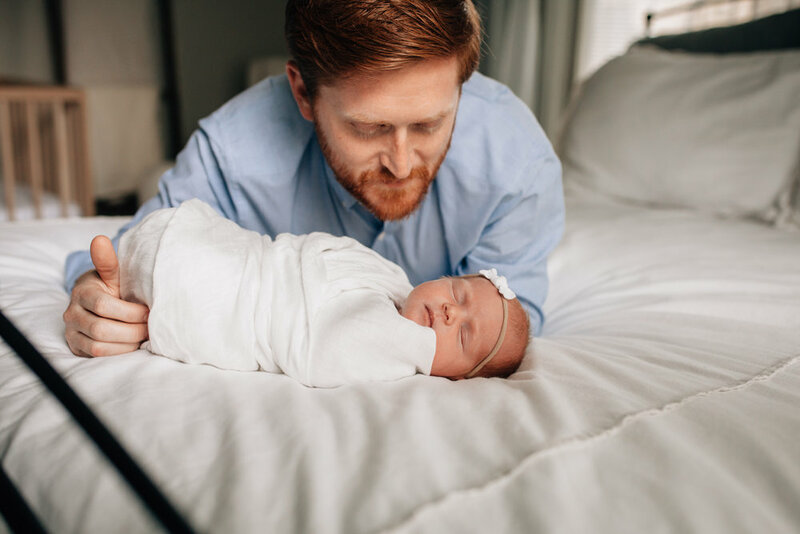 Their sweet girl was born just a few short weeks ago, with her wispy red hair and her dreamy little smile. 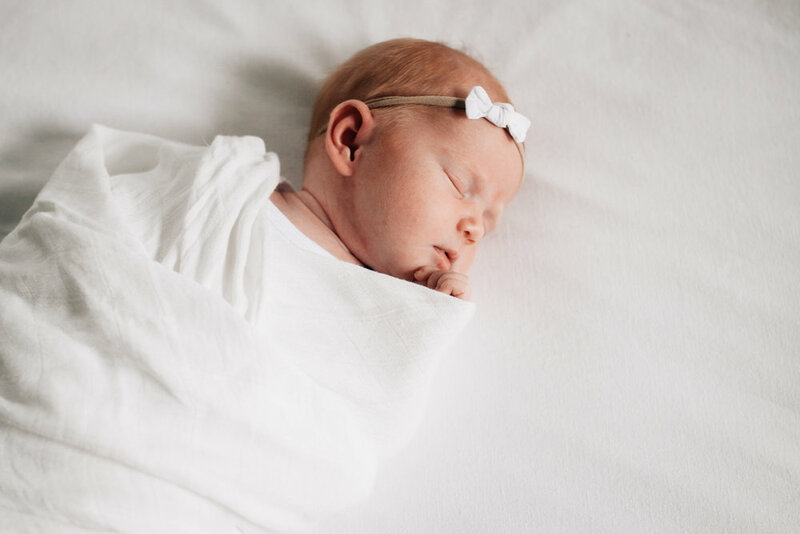 Her parents invited me into their home to capture her early days and it was just perfection. And she was just perfection. And their pup was just the most excited and engaged creature ever who was never far from his wee girl’s side. It is an honor to step into my client’s homes. To hum along to JJ Heller’s lullabies while I click away at little darlings snuggled up and cozy, so recently earthside.